On a narrow street just north of Higashi Honganji temple, a massive Shin Buddhist complex near Kyoto Station, lies A Peu Pres. Since 2007, this former ink factory, the building shrouded in a conspicuous web of climbing ivy, has been home to chef Mizuho Takemura, 38, who makes unfussy casual French fare, the type of food that first attracted her to French cuisine, and ultimately to Burgundy where she trained for five years in her early 20s. A Peu Pres is decidedly not the kind of French restaurant with starched white linens and an omnipresent maitre d’. Rather, it has a whimsical easygoing charm. And Takemura’s take on French food is wholesome, without fanfare or drama. On a recent visit between breakfast and lunch, chef Takemura explains that when she opened A Peu Pres she wanted her restaurant to be welcoming and homey. Takemura’s journey to Kyoto and opening her own restaurant began in Ise, Mie Prefecture, where she grew up. She credits her parents — both civil servants — with developing her interest in food. There was little in the way of fast-food or instant food in the house, and they encouraged the young Takemura to cook. Food and recipes also provided Takemura with a means of discovering the world beyond Japan’s borders and ultimately a direction for her life. Still, Takemura says that when she chose to study the culinary arts over university, it came as somewhat of a shock to her parents. “I was the first member of family who didn’t go to university, and at first they were against the idea,” says Takemura. 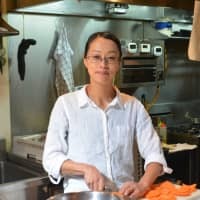 However, she persisted, enrolling in Tsuji Culinary Institute in Osaka, which, since its inception, has had strong links to France and French cooking. At the age of 19, and in her second year of studies, Takemura spent six months at Tsuji’s satellite campus in Lyon, followed by staging in kitchens in Lyon and Burgundy. After graduating, Takemura was drawn back to France, specifically to Burgundy, a region famed for its wines but also for some of French cooking’s most celebrated dishes such as beef bourguignon, coq au vin and gougeres, petit cheese-filled pastries. Takemura says she returned to France because she wanted to develop a deeper understanding of French cuisine. Initially she went to Paris, but moved to Burgundy as soon as she could, drawn by the more pastoral surroundings. Logistically it was difficult getting restaurants to sponsor her visa. But, again she prevailed and stayed there for five years. “Everything about France was enjoyable, even the tough experiences,” she says. She would have stayed on, but ultimately returned to Japan to be nearer to family, especially her parents. 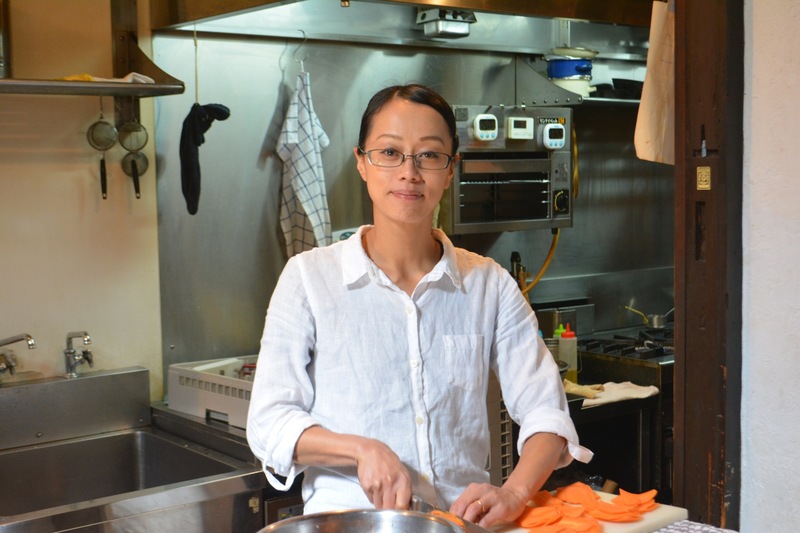 To readjust to Japan, and life in a Japanese kitchen, Takemura worked in The Westin Osaka for a year, before settling on Kyoto and opening A Peu Pres together with her husband at the end of the summer of 2007. There were a few false starts before they finally opened on Sept. 1 of that year. “A friend booked for that night, and so we really had to open,” Takemura recalls. However, the rest of the month, the restaurant was empty until they were featured in a magazine and the word got out. Patrons and word of mouth have helped establish A Peu Pres’ reputation — for the past few years the restaurant has been a fixture on the Michelin Guide’s Bib Gourmand selection — but it has given Takemura very little in the way of free time. After a decade away from France she finally managed to pay another a visit to the country in 2016. 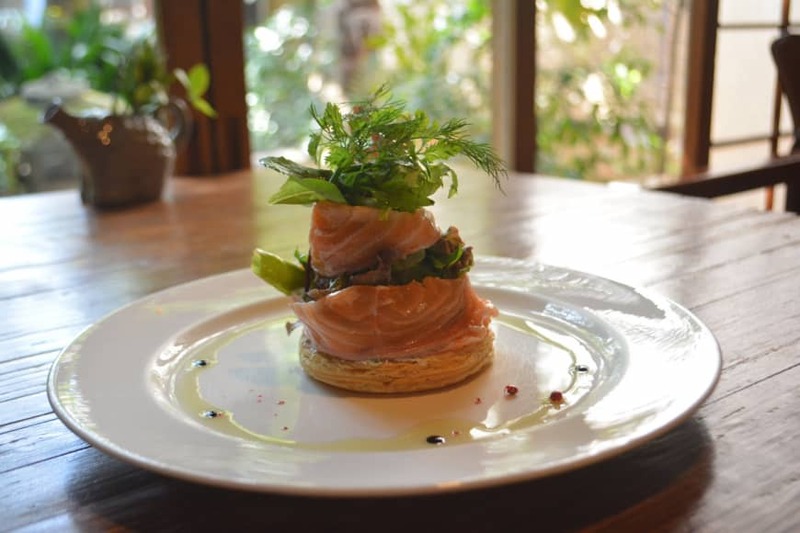 As light floods into the wood-floored dining room via a back garden crawling with greenery, Takemura serves up a firm favorite from A Peu Pres’ menu: a delightful puff pastry wrapped in thin slices of marinated salmon, encasing goat cheese and a salad dressed in dill. She follows it with a seasonal and very Burgundy dish: cuts of tender venison in a red wine sauce with a mix of Kyoto vegetables. 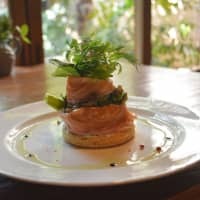 When she can, Takemura stops in at Les Champs D’Or near the center of Kyoto. “The chef there is in his 70s and they serve classic French food,” Takemura says. The tables are laid with white linen. 11:30 a.m.-3 p.m., 5:30 a.m. p.m-10 p.m.